The foreign minister requested the worldwide community to help Bangladesh with urgent humanitarian assistances to address the current crisis, support for transportation of the Rohingyas to Bhashan Char, as well as to provide political support to ensure sustainable return of all Myanmar nationals to their homes in Myanmar. The wave of hungry and traumatised refugees is "showing no signs of stopping", overwhelming agencies in the Cox's Bazar region already helping hundreds of thousands displaced by previous spasms of conflict in Myanmar's Rakhine state, the United Nations said. 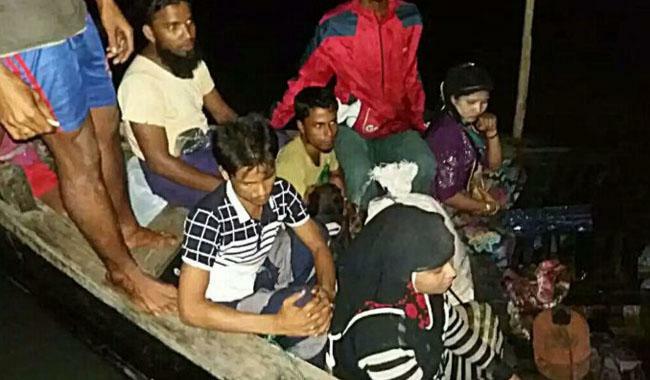 At least 294,000 ethnic Rohingyas have fled across the border to Bangladesh since fighting broke out on August 25, according to a situation report from the Inter Sector Coordination Group (ISCG) in Bangladesh. Hasina is scheduled visit Ukhia today and see for herself the plight of the Rohingyas. Rakhine has also been under a military siege since October 2016, when the government used a purported deadly militant attack on border guards back then as a pretext to enforce the siege. Almost 100 people have drowned trying to cross the Naf river on the border. The violence began on August 25 when Rohingya militants attacked police posts in northern Rakhine, killing 12 security personnel. Thousands of displaced people in Rakhine have been stranded or left without food for weeks. The meeting also agreed to continue efforts to coordinate and dispatch humanitarian life-saving aid especially medical and nutrition supply to the affected areas in Myanmar. Bangladesh High Commissioner Syed Muazzem Ali met Indian Foreign Secretary S. Jaishankar in New Delhi on Saturday and apprised him of the problems caused due to Rohingya Muslims amid a rising exodus from Myanmar's Rakhine State. In the last two weeks, thousands of homes have been burned down, dozens of villages uprooted and thousands of people are still on the move towards the border with Bangladesh. "The Zionist regime's plot to cleanse its cruel and child-killing image and promote the culture of cruelty and oppression against children, the elderly and innocent people in coordination with the government of Myanmar shows a disgusting and organized crime against the deprived Rohingya Muslims", Ali Akbar Velayati, the secretary general of the World Assembly of Islamic Awakening, said in a statement on Saturday. It was unclear who set fire to the villages, located in a part of northwest Myanmar far from where the insurgents launched their attacks last month. Tensions between Buddhists and Muslims have simmered in Myanmar since 2012 when sectarian violence erupted in Rakhine, leaving hundreds dead and pushing more than 100,000 Rohingya into decrepit camps. "Many new arrivals are still on the move and residing on the roadsides, and are left out of the calculations due to the lack of comprehensive tracking mechanism", said a United Nations coordination report Monday. "It is also driving up the risks that the country's five-year-old transition from military rule will stumble, that Rohingya communities will be radicalised, and that regional stability will be weakened", it said.